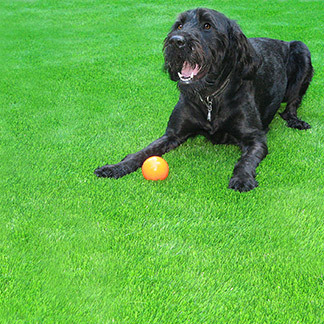 Own your own Richmond artificial grass lawn, and enjoy practically no yard maintenance, ever! Are you ready to have that luscious looking lawn of your dreams? With none of the labour intensive work required? 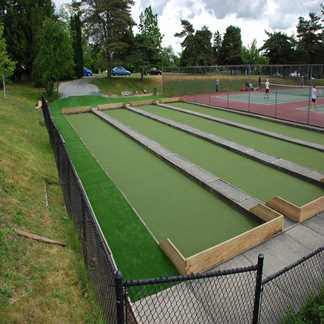 Not only is this possible, but Precision Greens artificial grass will provide an unmatched appearance, which raises the bar for artificial grasses everywhere. 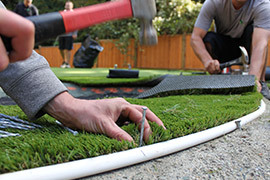 With over 1100 golf greens and over 3000 artificial grass installations, we pride ourselves in delivering top of the line products and superior customer satisfaction for over 17 years. Isn’t it time your property has the finish it deserves? Give it that jaw dropping appeal, leaving others envious of your yard and all your spare time. Here is how we can give you the best yard in Richmond. 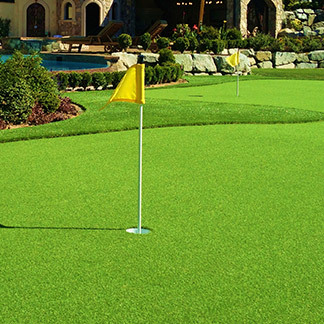 Variety: We offer a wide selection of pristine artificial grasses, meaning everyone will have the perfect selection for any area. 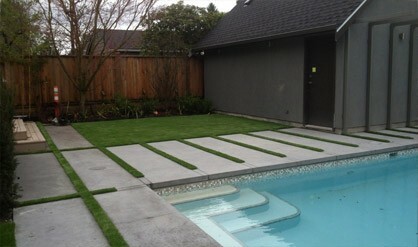 From golfer to home owner, you will surely be surprised at how fitting and natural all of our grasses look and feel. 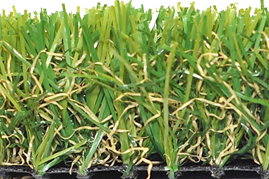 Realistic: In developing our inventive artificial grasses, we have incorporated Wave Blade and U-Shape technology, creating an ultra-realistic look and feel. 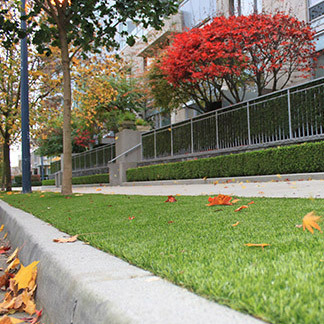 The structure, texture and even colour have been perfected, portraying a look indistinguishable from non-artificial grass. Design: Not only does the structure make it look real, its design allows for water to travel through it and drain into the ground below, just as non-artificial grass would. 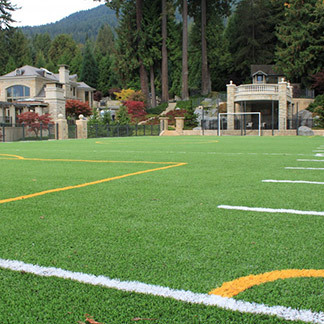 Unlike some artificial grasses, the material is incredibly strong and durable, able to endure relentless Canadian weather conditions, and still keep its rich healthy look. Safe: All of our products are completely safe, even children and pets are free to enjoy the yard with no worries or hesitations. Made from a non-flammable material, our grass won’t even pose a threat when weather has become dry and you’re itching to fire up that barbecue. Comfort and Ease: Virtually little to no maintenance, means you’ll have no problem enjoying the yard rather than working on it. The free time and energy you save can certainly be put to better things. Easy maintenance: We have removed all those unwanted chores in yard work, only leaving you with the simple cleaning required. 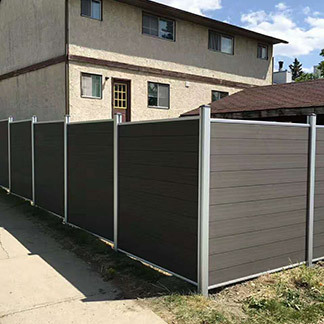 With this innovative design, any debris including pet waste will be positioned high on the blades allowing for quick and effortless removal. The rest can be washed away with water from the hose, to quickly freshen the lawn and bring back its luscious look and appeal. 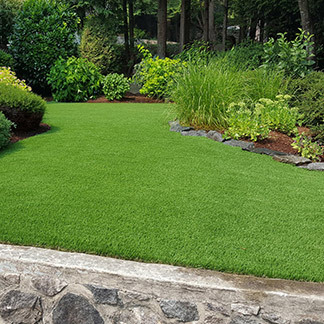 Reassurance: We offer a 10 year warranty and a 3 year workmanship warranty, making your life stress free, so you are ready to enjoy your new lawn.